Lauching the Research Programmes "Heart of Women"
A MAJOR STEP FORWARD IN FRENCH RESEARCH INTO WOMEN’S CARDIOVASCULAR DISEASES. Friday 24th June 2016 In a ceremony at the Palais de l’Institut de France, the Fondation Recherche Cardio-Vasculaire – Institut de France awarded Daniel Vaiman, a Director of Research at Inserm (DR1), his first research grant, worth 50,000 euros, for work on women’s cardiovascular diseases. This is the first such grant awarded by the ‘Danièle Hermann-Cœurs de femmes Research Program’ It will help fund Daniel Vaiman’s basic research into pre-eclampsia, a serious pregnancy disorder which affects 1 in 20 women and increases the incidence of cardiovascular illness by between 4 and 8-fold. 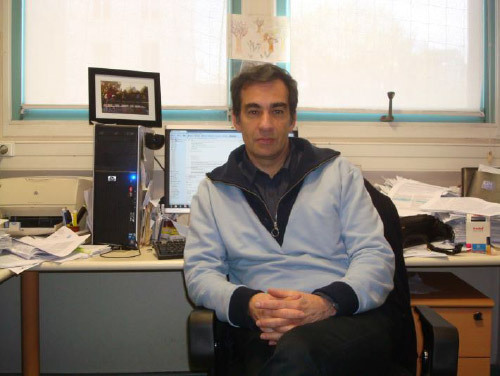 Daniel Vaiman is a Director of Research at Inserm (DR1). His focus is on reproductive medicine. 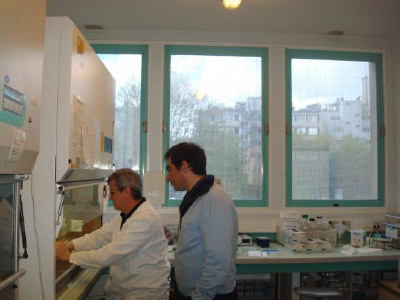 He is an expert member of several Committees in the field of genetics for various French research institutes (CNRS, Commission 22, the genetics department of the Inra). The author of numerous scientific publications, he reviews over 50 articles each year on behalf of journals dealing with reproductive health, cardiovascular health and general health issues.He is known around the world. The research proposal in question will involve two full-time researchers, Francisco Miralles (CR1 CNRS) and Daniel Vaiman. It has also been put forward as a doctoral thesis proposal at a Doctoral School. The Fondation Recherche Cardio-Vasculaire – Institut de France launched its first call for research proposals for the ‘Danièle Hermann-Cœurs de femmes’ research program in September 2015. This program aims to promote medical research into women’s cardiovascular health. The Fondation hopes that this initiative will remedy the complete lack of research in France specifically aimed at women’s cardiovascular diseases. he Scientific Advisory Board of the Fondation Recherche Cardio-Vasculaire – Institut de France considered 20 different proposals and unanimously decided to award the first ‘Danièle Hermann – Cœurs de Femmes research program’ research grant to some of the key actors in basic research in France and indeed in Europe : Daniel Vaiman and his team, who are currently researching diseases relating to the human reproductive system.. This condition is becoming increasingly common and now affects 1 in 20 pregnancies in France. It is characterized by high blood pressure during the third trimester and increased amounts of protein in the urine.Pre-eclampsia is a major driver of cardiovascular illness, a fact which has been largely ignored for a long time, even though the end result can be death, whether in the short, medium or long term. 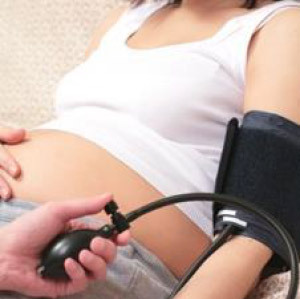 Although the symptoms of the disorder disappear after the baby’s birth, many epidemiological studies show that pre-eclampsia has an impact on women’s health long after their pregnancy has ended, including an increase in the likelihood of being affected by high blood pressure in the long-term and an increased risk of cardiovascular illnesses, like coronary artery disease and strokes. The transgenic female mouse model – the STOX1 model – eveloped during research conducted by Dr. Vaiman and his team, opens a door to the possible identification of the mechanisms responsible for the increase in the longer term in the incidence of cardiovascular illnesses in women affected by pre-eclampsia. The proposal chosen by the Foundation’s Scientific Advisory Board is specifically focused on quantifying the long-term impact of pre- eclampsia on the mother’s circulatory system through a detailed study of the physiology of this mouse model. The long-term impact of aspirin when used as an anti-pre-eclampsia medicine during pregnancy will also be studied. This research should facilitate improvements in the treatment of women both during and after their pregnancy. It will open up new approaches to the diagnosis and treatment of pre-eclampsia, thus improving the treatment of cardiovascular illnesses in women and cutting the incidence of those illnesses. Pre-eclampsia, a real time-bomb for women’s cardiovascular health. Out of the 800,000 pregnancies registered in France each year, around 40,000 are affected by pre-eclampsia. This condition, affecting 5 to 7% of all pregnancies, continues to be a major cause of illness in pregnant women. It has an impact upon the future health of the new-born child, especially due to an increased likelihood of premature birth (which happens in one third of cases). It also causes delayed growth in children. This illness also results in the death of 500 babies in France annually. 20% of women affected by pre-eclampsia during their pregnancy will suffer from high blood pressure or microalbuminuria , within 7 years of the end of their pregnancy, compared to only 2% of women who had a normal pregnancy. Women affected by pre-eclampsia are 4 to 8 times more likely to die from a cardiovascular illness (in the event of severe pre-eclampsia, which accounts for 10% of cases) than women who had a normal pregnancy. The financial burden of pre-eclampsia upon the French healthcare system is estimated at around 500 million euros each year and upon mothers and their children, the cost is estimated at 600 million euros each year.